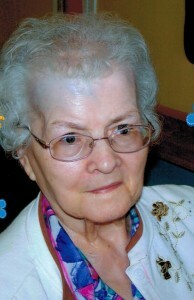 Irene Nosel Zawacki, 85, formerly of Starbrick and a resident of the Rouse Warren County Home, Youngsville, PA. died there Saturday evening, May 26, 2012. She was born September 27, 1926 in Warren, PA to the late Nicholas and Helen Predgo Nosel. She was a lifelong resident of the Warren area. A graduate of Warren High School, Class of 1944, she was employed with the former Loranger’s Plastic Corp. and retired January of 2000 from the Blair Outlet Store where she had worked for 27 years. She was a member of St. Joseph R.C. Church and had served as Past President of the Starbrick Elementary School. She was a Troop Leader for the Starbrick and Beaty Girl Scout Troops for 10 years. She is remembered as a mother devoted to her family, especially her children and grandchildren. She was proud of instilling strong family values. She enjoyed reading and was an avid card player. So sorry to hear of your loss, on behalf of the entire Kasperczyk Family, we wish to extend our deepest sympathies. May your Mom, Rest in Peace.. I remember your mother with so many fond memories, especially all of the summers spent at your house playing badminton and eating hot dogs and hamburgers. All of the Schust kids couldn’t wait until we could go on our summer trip to Warren so we could go to Aunt Irene’s house. My heart is saddened to hear of her passing. But, she is not alone. She is surrounded by her family that went before her. I am so very sorry to hear your mother, my Aunt Irene passed away. I remember staying with your Mom a lot when we visited Grandma. I used to baby sit all of you. I also remember all the good times we had at their cook outs with all the family attending. Those are my best memories. She is in a good place now and reunited with her family in heaven.